Sometimes you really need to unplug from the office. Regardless of whether we like our jobs or not, they can be stressful. Ideally, going on vacation should refresh us and let us return recharged and ready to work. However, this doesn’t always happen. Your phone follows you everywhere, which means your boss and the rest of the workplace do, too. So how are you supposed to handle all of this? By knowing how to tell your boss no without actually saying no. Sounds hard, right? We’ve got you covered. If your boss has a tendency to interrupt your pool time, it might be time for a discussion. The number one thing to remember is that this is communication, NOT confrontation. As such, you need to be open to understanding you boss’s reasons for contacting you constantly. Perhaps they simply don’t trust anyone else to do your job effectively. Or maybe they just feel a need to control the situation. Begin by politely telling them how these work interruptions are affecting you. Maybe it’s taking time away from the kids or putting a strain on your relationship with your significant other. Let your boss know that, in the end, uninterrupted vacation time is best for the both of you. You get the relaxation you need, and they get a freshly charged employee. 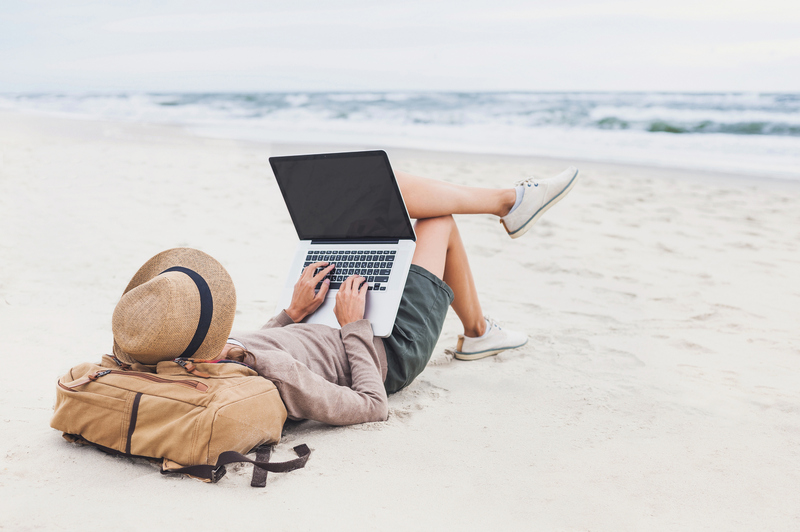 Once you’ve established why vacation interruptions are a problem for you, it’s time to assure your boss that all of your responsibilities will be covered in your absence. In order to ease your boss’s worries (and make them less likely to contact you on vacation), work as far ahead as possible before you leave. If anything is due the week of or even the week after your vacation, it should be done before you leave. And even if you don’t work in a deadline sensitive environment, there are still duties you can take care of before you leave. These include touching base with your contacts and letting them know you’ll be gone, going through any outstanding voicemails or emails, and cleaning your workstation. In addition, make sure to update your voicemail and email to reference your vacation. You should include not only the duration of your vacation, but also the name and contact information of your stand-in for use in emergencies. Reassure your boss by clearly laying out how all responsibilities will be covered in your absence. Provide a point person that will act as your stand-in while you are away. This person should be able to handle any deadlines that could be missed while you are gone. When you talk to a stand-in, make sure they know where all of your files are located, as well as any other information that might be helpful while you are away. It’s similar to hiring a babysitter, except in this case, the baby is your job. And instead of telling them where the bottles and diapers are, you’re letting them know about files, contact information, and conference calls. Ever had to tell your boss you wouldn’t be taking calls on vacation? Let us know how you did it in the comments below! Previous Post In-Demand Jobs: Who’s Hiring? I will do my best to complete any project dead lines before going on holiday. Any work delegated to a trusting colleague is documented with information noting goals and objectives targeted for completion. I Do not mind a call or two during vacation for any questions. As for my boss we have been around for a long time and know the importance of R and R.
Times have change but experienced veterans do not let technology get in the way of family and holiday time. Get some rest people and physically socialize with other humans the old fashion way. Peace.